Having provided document conversion services for more than twenty years (since 1988), let SoftFile implement your departmental document imaging and records management program. SoftFile can configure your in-house document imaging system in order to help meet your legislative compliance problems and avoid costly mistakes. Unlike a photocopy-machine sales representative, SoftFile actually scans millions of documents per year. SoftFile knows how to get the images scanned. Advanced Data Entry including SoftFile's customized KFISM (key-from-image) with built in dual key data entry modules. Having provided document conversion services for more than twenty years, SoftFile has hundreds of no-license required programs, APIs and developer tool kits in order to mitigate manual labor from your in-house processes. 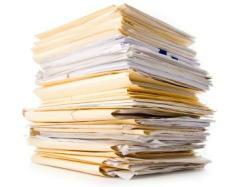 Is your organization planning to implement a records management program including paper to electronic document scanning? SoftFile has been providing document conversion services since 1988. Through this experience, we know what types of records management systems work and which are destined to fail. Don't re-invent the wheel, let us share this knowledge with you. As the manager of a government program, have you been asked to submit ideas in order to help reduce operating costs? SoftFile is experienced at using innovative document technology to help government agencies with their business processes. SoftFile can identify the bottlenecks that cost your department time and money. We can provide a free proposal for you to submit to your management team. In a hiring freeze? Often, our solutions enable organizations to free up valuable staff and reallocate these human resources to other mission critical business functions. As SoftFile has helped numerous government agencies improve their business workflow process, we are bound to identify a similar solution for your department. Looking for local or on-site document imaging classes and seminars? Register your email address today for notification of our upcoming 2012 sessions. Attendance in SoftFile classes gives you free access to SoftFile's online Tool Kits and APIs. Attendance in SoftFile classes gives you free access to SoftFile's consultants and programmers for personalized solutions. SoftFile has implemented document imaging and records management programs in numerous federal, state and local government agencies. Many of these are considered critical for their business operations. Thinking of implementing a new document imaging project? Or would you like to make your current project more efficient? Our experience and advice will help ensure that your imaging project gets started with a solid foundation.